I did some searching around and apparently WD40 or rubbing alcohol do the trick. What I also found was that I was not alone in my circumstances; there are plenty of websites that offer condolences and information to help parents deal with coloring stains from their kids. In fact, even Crayola has a complete guide to removing stains that have been created by their products. I didn’t try WD-40 as there was some mixed reviews about it, so I started with the rubbing alcohol. I tried a mixture of about 50/50 water to alcohol with no luck. I then just went to pure alcohol (don’t have a lot of patience). It took some gentle rubbing with a microfiber cloth, but it worked like a charm! What does this have to do with survival? Well, I stumbled across a great list of uses for WD40 during my research, and I had to let visitors of this site know about it. 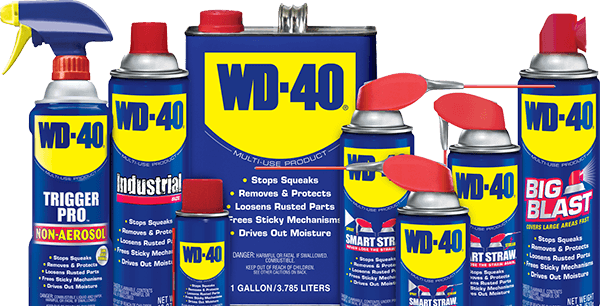 WD40 is one of the most useful compounds on the market, and should be considered a must in any home survival kit. Here is a link to over 2000 uses for WD40 (and some are pretty unconventional). It would be a good idea to print this off and save it in your survival guide just in case you need to reference it. Enjoy!